I’m so glad that you want to be a reader. I’m glad that you are asking for good books. But – as you’ve noticed – it’s hard to find stories for middle-schoolers that are well-written, interesting, but not too difficult to read. Humorous stories. Silly stories. Lightweight stories about characters who like playing pranks and avoiding work. Stilted stories. Slightly awkwardly written stories intended for students who find reading difficult. You have now heard enough stories in class and read enough stories yourself that you know how good writing should sound. You also are mature enough that you’d rather read more serious stories than The Diary of a Wimpy Kid books. So what should you do? Expand your interests. Read stories that are set in places and times that are unfamiliar to you. Read novels about characters who are unlike you. View reading as a chance to discover what it is like to be someone else. Read the easy-to-read novels that are especially written for poor readers. Because that is what you are right now. A not-very-skilful reader. You need to build up your strength with easier books so that you can get to the novels you’d prefer to read. If you read for an hour every day, you will be amazed how much stronger you will be in a few months. Watson, Jenny. Prove It, Josh. Winlaw, BC: Sono Nis Press, 2013. 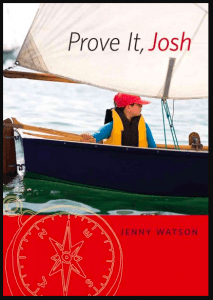 Josh has moved from Toronto to Vancouver Island to live with his dad aboard a boat. But he hasn’t made any friends and he finds it impossibly difficult to read. His dad makes him see a reading tutor but that isn’t helping his social life. Maybe winning a boat race will show the world that he isn’t worthless. This 157-page novel has widely-spaced lines of print.The messages are easy to find: everyone has difficulties, so don’t give up when life is hard; good character is more important than being a good reader or winning a race. The writing is somewhat awkward and there are some technical terms about sailing but just skip over the parts you don’t understand and carry on with the story. You are on your way to becoming a serious reader. P.S. Find more easy-to-read books HERE! You have already enjoyed many stories about characters who set out to search for something. Perhaps you have also read or watched movie versions of these famous quests: Homer’s Odyssey, Tolkien’s Lord of the Rings, and Baum’s The Wizard of Oz. Many folktales and fantasy novels focus on a hero’s journey to find someone or something. Here is another story that tells of a quest. But this one is not a fantasy novel. This novel is based on something that actually happened long ago in England. Avi. The Player King. New York: Atheneum Books for Young Readers, 2017. During the 1400s, two families fought to gain control of the English throne. In 1485, Henry proclaimed himself king and defeated Richard at the Battle of Bosworth Field. But Richard’s supporters did not want to give up the power they’d enjoyed. So they found a boy, Lambert Simnel, and convinced him to pretend that he was the true heir to the crown. All so they could keep their wealth and prestige. This really happened. 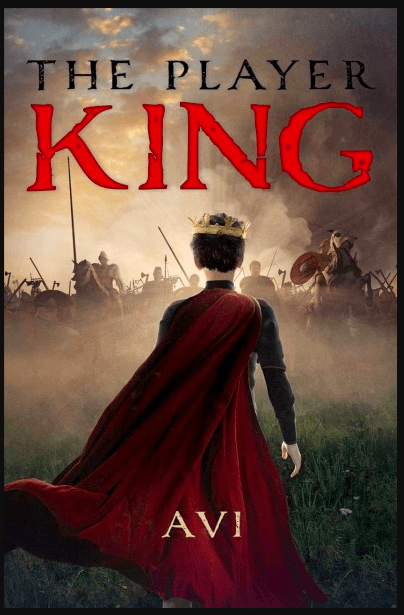 This novel is a spell-binding tale that tells how a young penniless orphan might have been convinced that he was someone important, someone who was worthy of becoming the king. By the way, even though the topic is quite serious, this 195-page book isn’t difficult to read. The margins are generous. The lines of print are widely spaced. Many sentences and paragraphs are very short. There is also lots of conversation. You will undoubtedly race through this novel to find out what happens! P.S. Any story by Avi is well written. Later you might like to read Crispin, another story from the Middle Ages about a boy on a quest to discover his true worth.